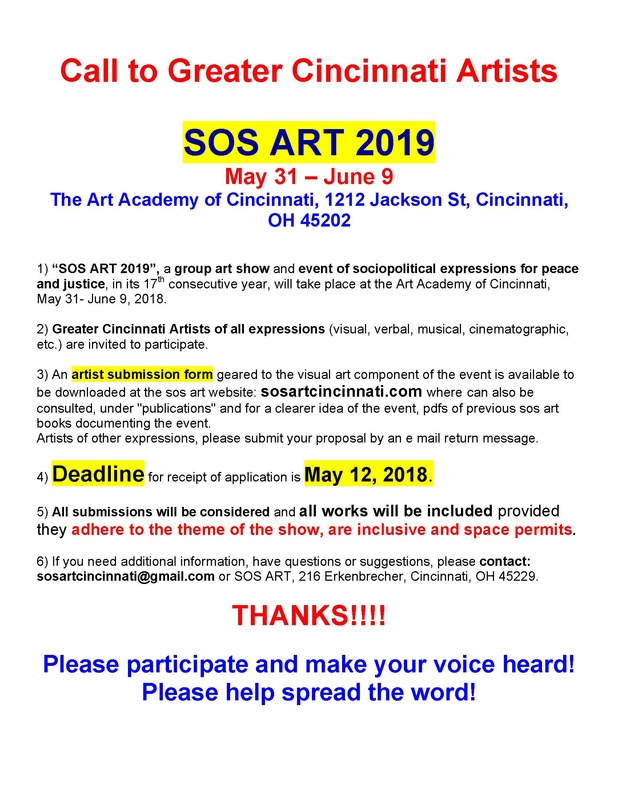 Call to the Greater Cincinnati Artists for “SOS ART 2019” the annual group art show and even of sociopolitical expressions for Peace and Justice. Pls see the entire call and its details below, also click on the artists submission form to open it. Tx!! !